The Nigerian banking industry has indeed come a long way. Although there is still work to be done, it is safe to say that it is now at a ‘comfortable junction’. This success becomes noteworthy when one begins to imagine the challenges the industry has faced over time, from gaining and maintaining customers’ trust to the ever-changing monetary policies, and the rise in non-bank payment platforms. A few banks have displayed an understanding of how to leverage technology and innovation to stay ahead of the competition. One of such banks is Access Bank, which has adopted a brilliant approach of leveraging innovation to enhance its customer service. The Bank has continued to actively roll out campaigns that are customer-centric and technologically inclined. This has enhanced its position in the banking industry and buttresses its brand promise of speed, security and service. Some of the Bank’s products are a testament to one of its goals of being Africa’s most innovative bank. The PayDay Loan which has been adjudged one of the most customer-friendly packages, seeing how quickly customers can now access loans without collaterals and long documentation process. This service is primarily targeted at salary earners who need to access cash for emergency needs. 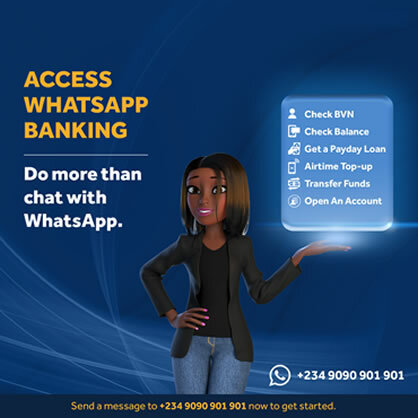 The WhatsApp Banking service which was recently launched by the Bank is further proof of the Bank’s quest to stay ahead in terms of innovation. This service provides customers with solutions to issues such as Account Opening, Own Account Bank Transfers, Access to Access Bank Account Transfers, PayDay Loan, BVN Confirmation, and Balance Enquiry. More features are set to be rolled out in the nearest future. These products and services positions Access Bank as an innovative and forward-thinking bank. The launch of Access Africa, which is the fastest way to send and receive money across Africa provides customers with seamless services that are fast, affordable, and convenient.